Did you know that CarSanook - all about cars in Thailand in 2004 has been a Thai biz-news leader for 10 years? Advertising on CarSanook - all about cars in Thailand. 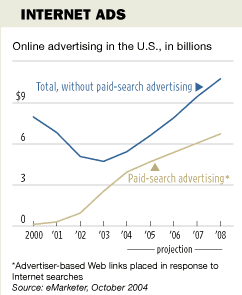 Internet advertising is booming. Advertising the right product in the right places on-line gives value-for-money that is nearly impossible to match any other way. Most decision-makers are every-day net users. Unlike other forms of advertising the user can be taken instantly to comprehensive information and often even a direct purchase. CarSanook - all about cars in Thailand has been on-line since 1997 and currently draws 10.000 visitors pr. day, of which the major portion is affluent decision makers, business people. Our articles are top-ranked in searched in all major search-engines. If your product falls into the category "potentially interesting to for people related to business in South East Asia and Thailand in particular" you should probably be with us. See the advertising options here, then drop an email to , tell us about your product and your business. There's a great probability that an add in our on-line version is the best advertising money you will ever spend. And we are here to help you with everything you need to get the most from your add.